Why can't I have Food X? Why isn't Food Y allowed? It has less calories than Food Z? Can I substitute X for Y? Etc. The short answer to ALL of these types of questions is, "No. Because Simeons said so!" He spent decades trying to create a diet with combinations of food that created the best results. It doesn't matter that you may think Food X is better for you -- because, frankly, you didn't develop the diet. For whatever reason(s), Simeons disallowed numerous foods that seem to confuse a great many folks. What isn't confusing is that his protocol works. So please don't ask why you can't have tuna fish, carrots, pork, etc. during Phase 2. If the food isn't listed, it isn't allowed during Phase 2. Coffee? No. Peaches? No! Melba Snacks instead of Melba Toast? NO! ;-) Check the color-coded Food Guide for a complete list of foods and in what Phase they are allowed. Can I take my medication(s) while on the spray?? Will medication(s) X, Y and Z interfere? We never recommend against your well-informed doctor's advice. If you have a prescription, you must take it. We also cannot check every ingredient against an "approved" list. There are NO contraindicated medications that would interfere with the spray. However, STRONG medicines may overpower homeopathic remedies and make the spray less effective. What constitutes 'strong' is unknown. Just take want you NEED to take, and don't take what you do not need to take. Teas.....any kind of tea or do they have to be a weight loss or a cleansing type of tea?? Any tea is OK, except you should avoid teas with peppermint(mint) since that has essential oils. The best tea is Green Tea. Water.....what type is best with this program?? Just any bottled water?? What exactly is mineral water?? Load days.....eat just high sugar & fat only?? Or high is calories also?? How many ounces is 100 grams?? There are 28 grams in 1 Oz. Therefore, technically it's 3.57 Oz. However, you should use a postage scale (as opposed to a kitchen scale) to measure the meat/chicken/fish BEFORE cooking, and with all visible fat removed. Both types of scales should show GRAMS in any case, so just use the 100 grams measurement. Do not mix veggies....is that just for the meal or for the day also?? Some of the documentation seems inconsistent....is it 100 g minimum vegetables or unlimited? Which is correct?? Sorry, we're trying to synchronize all documentation. You can have unlimited amounts of your protocol vegetable choice at each meal -- this will all but alleviate hunger. Use this liberty wisely -- i.e., eat until you're just short of comfortably full. Be aware that some foods, (tomatoes, for example -- but other vegetables as well) cause SOME PEOPLE to stall, so if you experience slow/no weight loss during the protocol after you have a particular vegetable, consider them as a possible cause and try a few days of not eating that vegetable choice to see if that could be giving you a problem. On the food guide....what does C, Y & N mean?? Y = Yes. N = No. C = Caution (use with caution). Foods.....it says green salad.....would/could this mean salad mix like you buy in a bag?? But then again, there are different types of veggies mixed together in there, which then lead back to do we mix veggies in the same meal?? This is admittedly confusing and I recently fixed this (make sure you download the latest versions). When Dr. Simeons said 'green salad' he really meant 'lettuce'. No, you cannot have a mixed bag of salad greens. You can pick any type of green lettuce (bib, iceberg, romaine, etc.) - There is no mixing of vegetables during Phase 2. Water.....1/2 to 1 gallon.....the more the better I am assuming?? Veggies.....is raw better than cooked or does it matter?? Lemon juice....seems we can use a lemon to season or have the juice each day, but what about to eat?? Wait each day to get hungry before eating....and do not skip meals. Does this mean once you do get hungry that you then need to cram all of your meals into a smaller time lot to get them all in for the day?? The reason for waiting until hungry before eating is because if you aren't hungry, you are most likely burning fat like crazy and as soon as you eat, that will stop. So, if you can go a while after waking before your first meal, that's great. Dr. Simeons also says that it's OK to NOT eat all of the allowed items. This doesn't mean 'less is more' and you should try not to eat all of the allowed foods during the day, it just means if you happen to skip an item out of necessity (travel, etc.) it isn't the end of the world. You aren't going to lose more weight (fat) by eating less than 500 calories, so you SHOULD eat all of the items during the day unless there are extenuating circumstances. Are ALL seasonings ok, as long as they do NOT have sugar, fat or oil in them....just watch the calories?? Can we eat the same foods for lunch as we do for dinner...like, eating chicken for lunch and chicken for dinner? Or 2 apples a day? It's best to vary your food choices, which means no, you shouldn't have 2 apples during the day IDEALLY, but it isn't the end of the world if one day you do that. Any tips on travel out of town for the weekend.....such as eating?? If I currently do NOT exercise.....should I start at the same time that I start the program or just wait till after I finish the program, then start exercising?? 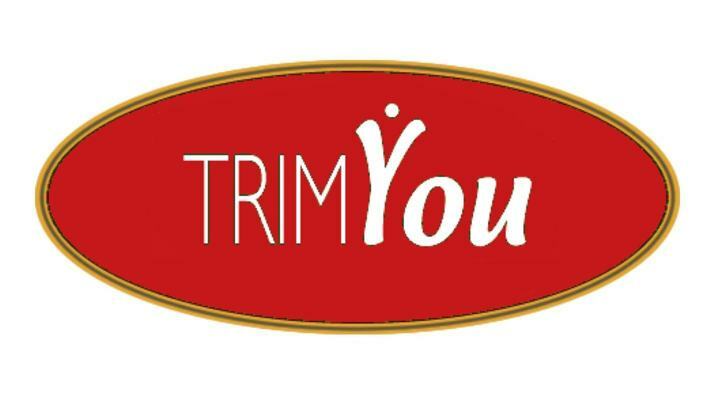 Is there a problem taking Birth Control pills while on the TrimYou Spray? Phase 2 is 43 days. Technically, if you're feeling up to it, you can go until the bottle is empty (~50 days) but then you MUST move on to Phase 3. If you continue on Phase 2 you are risking a bunch of complications (i.e. gall bladder problems, loss of hair, problems resetting in Phase 3, etc). You can do another round to lose more weight AS SOON AS you finish the 6 weeks of Phase 3. When you start another round, YES, you start with loading in Phase 1 again. I missed my normal spray time! Did I just screw everything up? Should I take an extra dose? Don't panic! Just pick up where you left off. While we recommend spraying at 12-hour intervals, if you happen to miss a dose, or it turns into 15 hours or you spray a little earlier -- no foul. Try to keep to as close to 12-hour intervals as you can.